Orange County Slip-and-Fall Lawyer | Should I File a Claim? Can you help me determine whether or not I should file a claim? 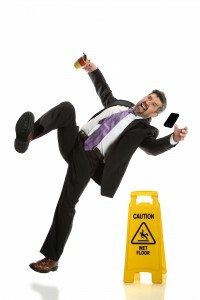 Los Angeles slip-and-fall accidents occur more frequently than you may think. Some slip-and-fall accidents are minor, causing very little pain or bruising. However, plenty of slip-and-fall accidents in California can cause serious injuries – some that are even life threatening. If you were involved in a slip-and-fall accident while on someone else’s property, it is very possible that it was not your fault. If you were not at fault, you may be entitled to receive compensation for your accident in California. Consult with an Orange County slip-and-fall lawyer about the specifics of your situation. Proof of liability – You will need to decide who was liable for the accident and damages. As a victim, you will need to prove that the person you are bringing the claim against acted carelessly or failed to act responsibly. Some of the ways you can prove this is by eye witnesses, pictures, videos and expert testimonies. Damages incurred – The next thing you will want to determine is whether there were losses causes by the slip and fall. Damages can include both tangible and intangible losses. Loss of income, medical costs, pain and suffering, and emotional damages can be considered a loss. Causation – Causation means that there was a defect on the premises that caused you to fall and cause the damages. To help you better decide on whether or not to file a case you should contact an experienced Orange County slip-and-fall lawyer at Russell & Lazarus. To receive a free consultation call (800) 268-9228 today.